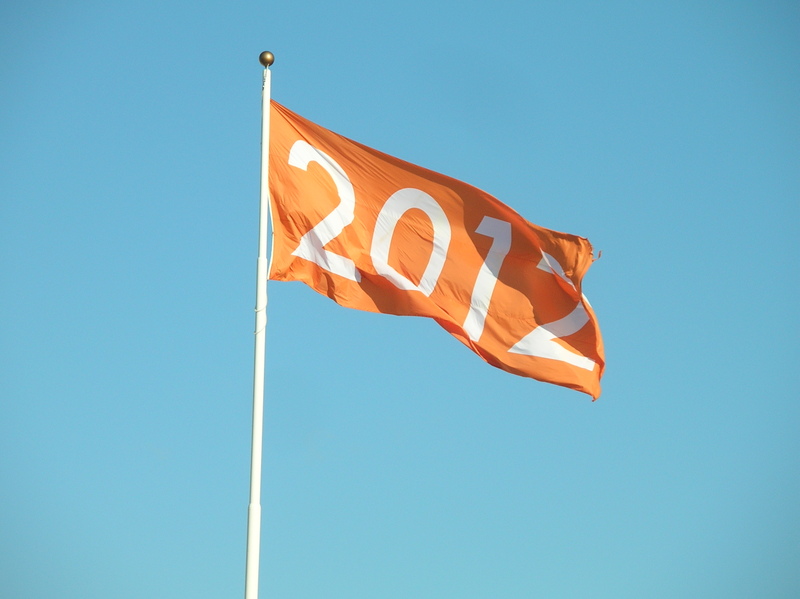 Has anyone else noticed the large, orange flag flying high above downtown Orlando? It’s near the CNL building; I cannot figure out what it represents. I tried to do a little research but the only thing I could find is an Orlando Business Journal article posted earlier this month, about biodiesel consumption in the year 2012. The flag is flying directly above a fire station, so perhaps there’s a tie…. Next A new Presidential candidate? 2012 is the opening of the new performing arts center on that site! @Jeff Oh, OK! That makes sense now. Thanks for clearing this up for us! or it is reminding us that according to the Aztec calendar, that is when the world is going to end… damn it. @Erin Oh, crap! In that case, I’ve got tons to do! I just wanted to say that for the record the Aztecs said nothing about the world ending in 2012. It is a shift in galactic consciousness. Check out the website I listed for more on this. And yes, I sure have seen this flag. I ran a google search to see if there was anything else about it, and it brought me here. It’s interesting to think that Orlando has been called the New Atlantis, and if you look into some of the occult architecture in the area (the pyramids on the Sun Trust building, the pegan statues ALL over the place, etc.) in combination with the history of the city, it’s very safe to say that Orlando is on Illuminati lockdown. Belive what you want but all you have to do is pick up a few books. The history is there. @Random Synchronized Events Thanks, very much, for dropping by our blog and commenting. We always welcome feedback from readers. While I’m certainly not putting words in her mouth, I’m pretty sure @Erin was just being funny when she left her comment on this post. It wasn’t the Aztecs. It was the Mayans. @Random Synchronized Events – Thanks for the info. I have really been curious about this in the past couple months. Are there groups in Orlando that focus on this kind of stuff? @Iofrah80 You bet! When we find out more we’ll definitely write about it here on the site.